Don't let lack of visibility grind your proposal effort to a screeching halt. 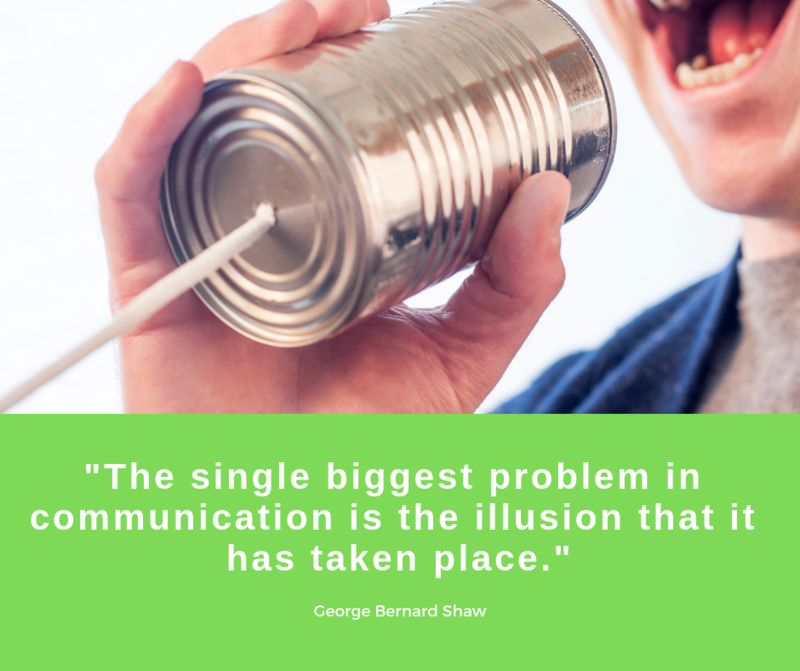 See how Privia keeps you on top of who is writing and when they're done - and avoid the high cost of miscommunication. 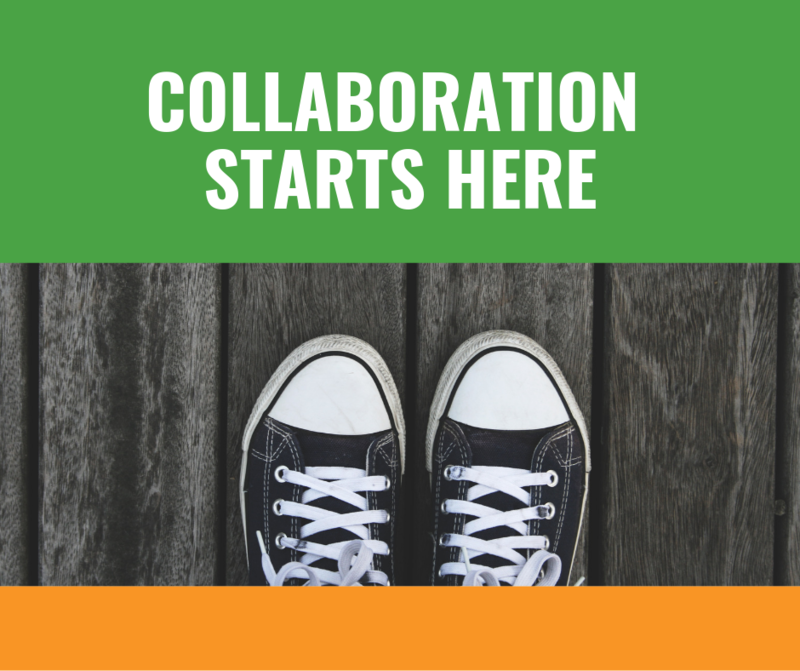 When it comes to proposal development, collaboration is strategic; it helps us achieve something that can’t be accomplished by one person alone. Done well, it can minimize re-writing, accelerate reviews, and fast-track progress. 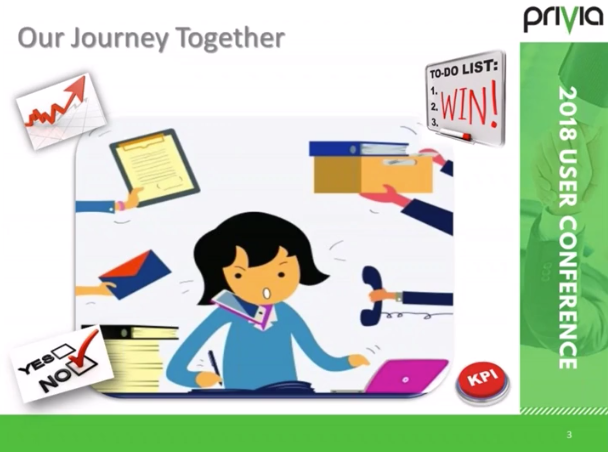 Watch this video for 3 ways collaboration can help your team build better, winning proposals. 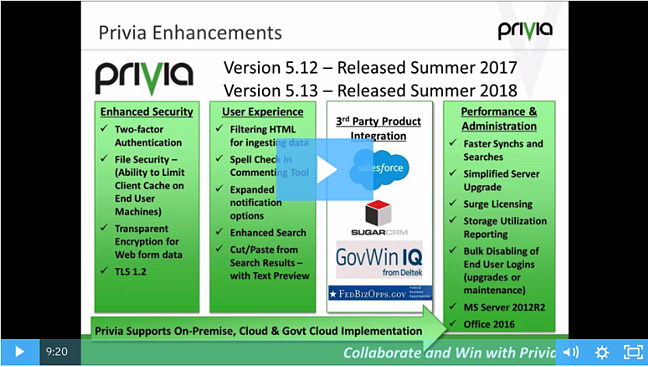 Explore what’s new in Privia 5.13 and how enhancements will help your team achieve even greater proposal efficiency. When you’re as busy as you are, managing proposals and juggling deadlines, it’s easy to fall into the same old, same old routine. Resolved to win in 2019? Stop doing the same thing over and over again expecting different results. 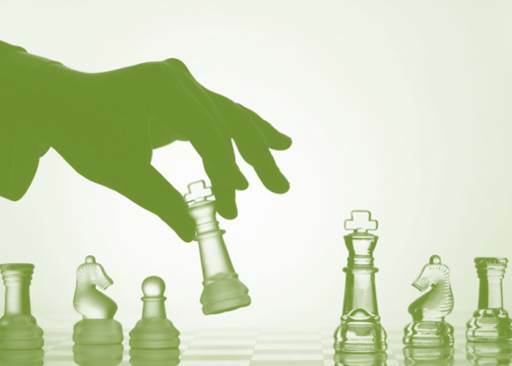 These best practices are designed to help you work smart and win in the New Year. With the Privia, you’ve taken the ﬁrst step toward streamlining your capture and bidding processes. 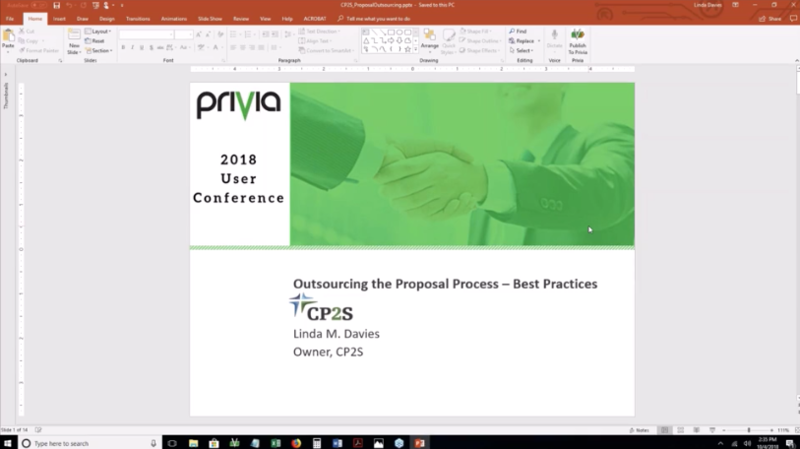 Now join proposal expert Derrick Chacon from The Bid Coach to learn the five habits of a successful Privia user that will help save time and improve quality. Fast, efficient enterprise-wide resume management has never been easier. With Privia's Resume Manager, proposal teams easily manage updates and quickly deliver accurate, formatted proposal-specific resumes. You’ve heard about how Privia 5.13 delivers enhanced performance for faster search results you can preview and copy and paste to save time. Now see it in action. 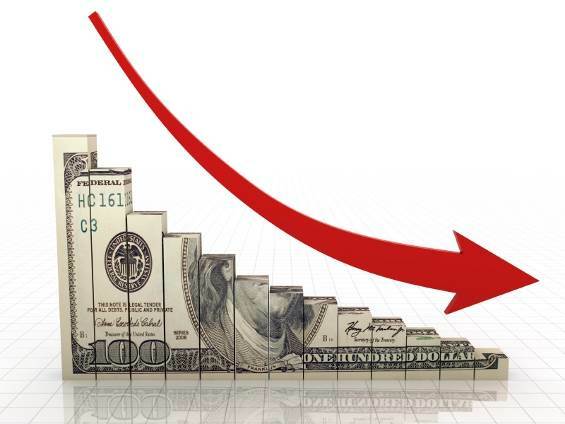 Are you over-taxing your limited proposal resources? Is this limiting your client success and your growth potential? Learn how Privia can help with product knowledge, administrative know-how, and performance enhancing technical services so that your team can concentrate on winning. Proposal visuals are at least 38% more memorable than text alone and the best way to relate your winning strategy, especially when information is complex or easily misunderstood. Join proposal visuals expert, APMP fellow and author Mike Parkinson to learn how the right graphics compliment your text and increase your win rates. 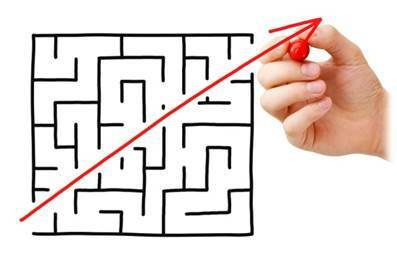 You know how Privia workflow saves you time by automating workflow – are you using workflow to maximize your efficiency? This quick overview will get you started using Privia's Killer App to change and improve your process. Explore proposal outsourcing best practices and learn how outsourcing your proposal process can help you focus on core strengths – and extend your procurement reach. Join proposal expert Linda Davies with CP2S to learn how outsourcing can help you bid more and win more. 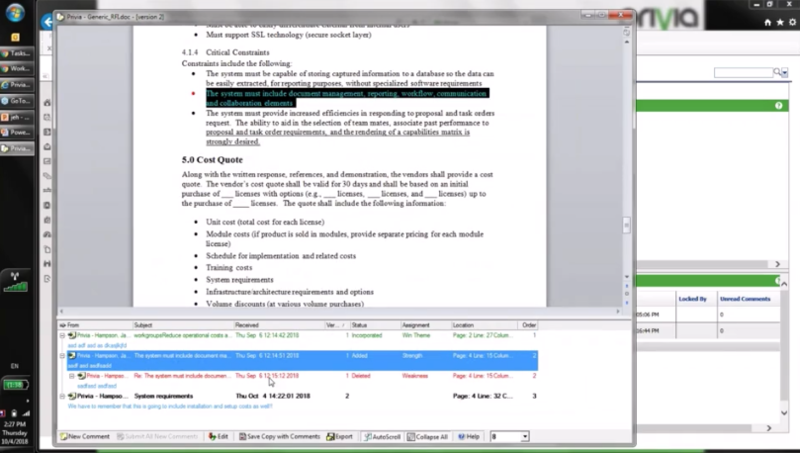 Do you use Privia’s simultaneous commenting to drive faster, more effective proposal reviews? 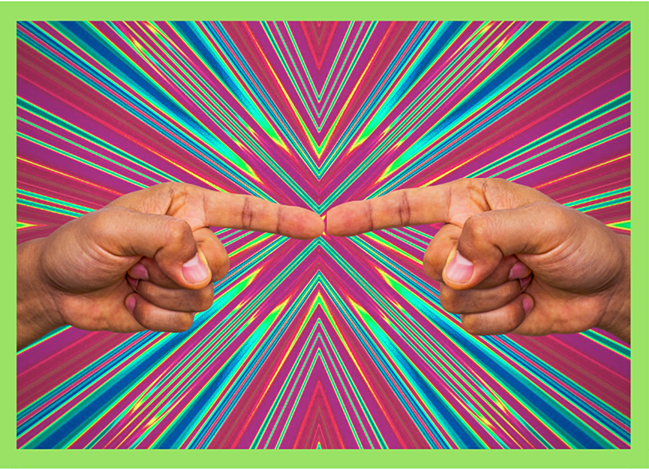 Discover 3 tricks for making the most of commenting that will save you and your team time. The goal of evaluators is to score your proposal, and to do that, they don’t always read your proposal from front to back. 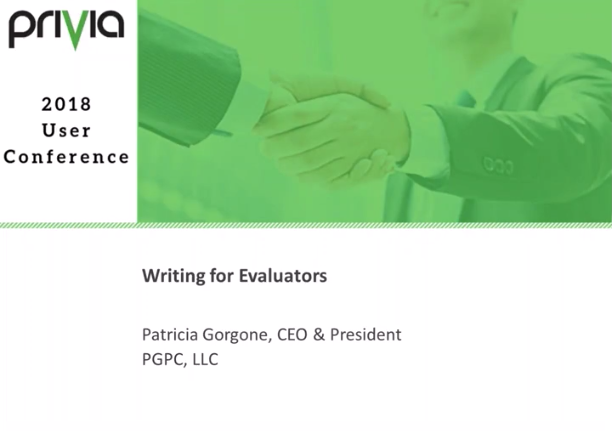 Join proposal expert Patricia Gorgone from PGPC to learn some simple review changes to help your proposal stand out. 2018 Privia User Conference Keynote Speaker, Jamie Ninneman, APMP Chair, updates us on what's new and changing in the industry. Is Your Proposal Team Secure? 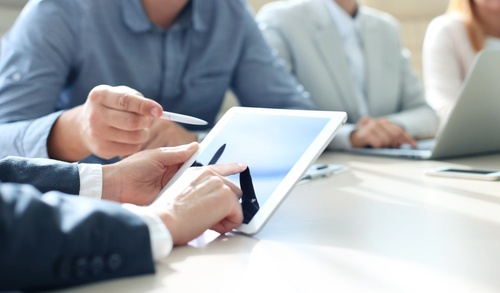 When it comes to effective proposal reviewing, real-time team collaboration is key, but online collaboration systems are vulnerable to cyber attacks and data breaches. Learn how Privia protects your team and your sensitive information – while keeping the collaboration going – with a core security designed specifically for online proposal collaboration. 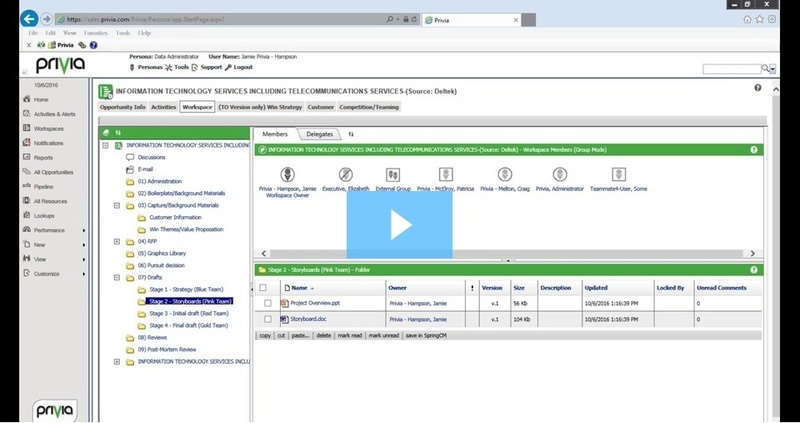 Learn how Privia transports proposal teams back to the future to save proposal time and improve proposal quality with a solution built for the way you work and win. We’ve all been there; those last few days of a proposal when sales is tweaking pricing, executives are refining win-strategy, and experts are working overtime to fill the gaps. It’s a scramble right up to the deadline, and everyone is wondering where the time went. Learn how Privia helps you chill out through the dog days of proposals by maximizing precious time and minimizing team frustration. Your time is valuable – and when it comes to proposal management and development, there just never seems to be enough of it. Learn how Privia improves your process, saving you time, with flexible workflows you can leverage out-of-the-box, tailor or create from scratch. Our expert partner, CP2S, joins us to discuss what's working in the industry today. If you’re in the contracting business, then you’re in the business of writing proposals. It’s how you maintain and grow your business and keep your team employed. 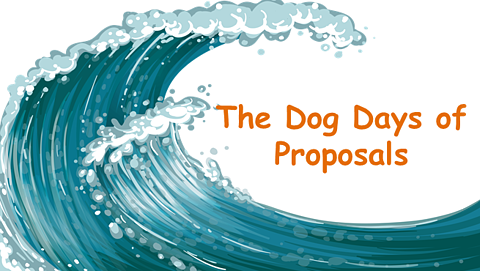 Then why would your team rather go to the dentist than write another proposal? Take your proposal effort from stressful to successful with these best practices from the experts at Privia and The Bid Coach. 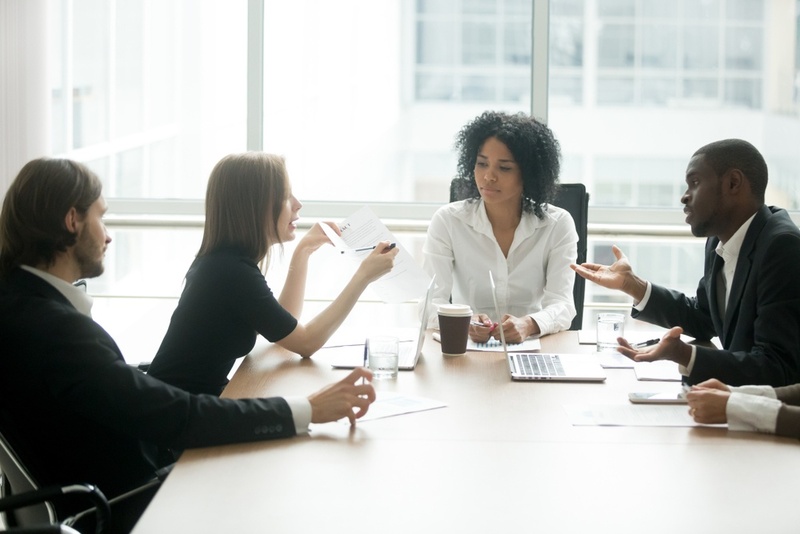 Proposal review team meetings have very specific goals; confirm the structure, confirm the win themes and ensure the approach supports the strategy. 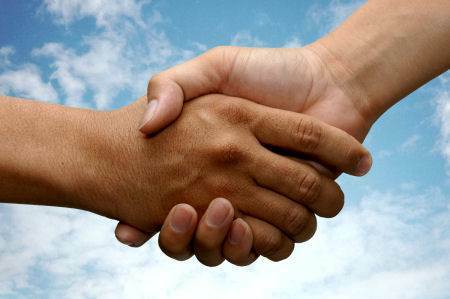 So why do review team meetings often feel like one step forward, two steps back? 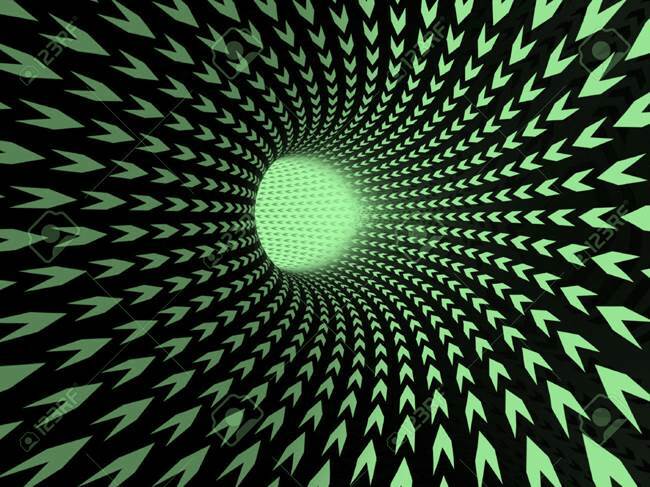 Discover how centralizing strategy, improving content access and real-time, simultaneous commenting can help your team avoid setbacks, focus on strategy and move your proposal effort forward. Whether you’re tweaking your proposal process or adjusting a proposal schedule, considering your audience first will dramatically improve your chances for success. Leverage your proposal smarts and these best practices for a team excited for change and success. 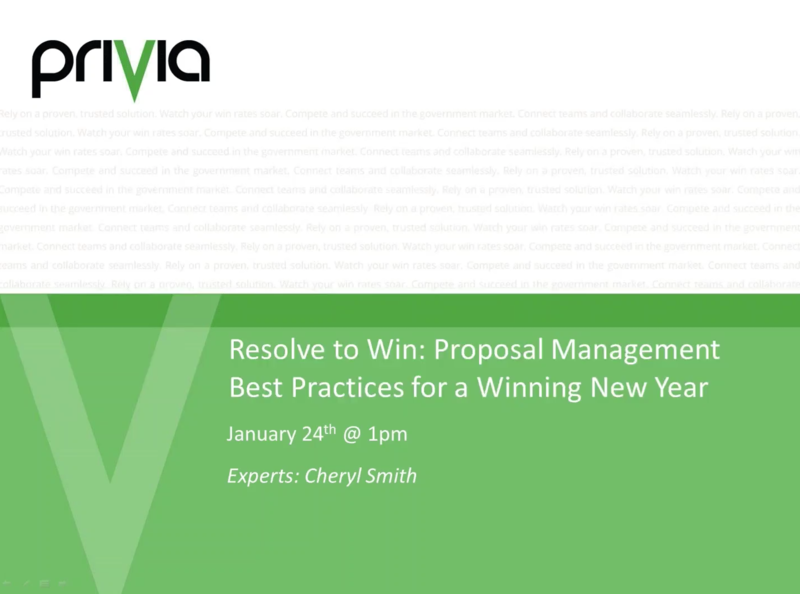 Learn how Privia’s unique solution uses best practice integration, automation, collaboration, and reporting to streamline the proposal process and reduce costs so your team can bid more and win more. 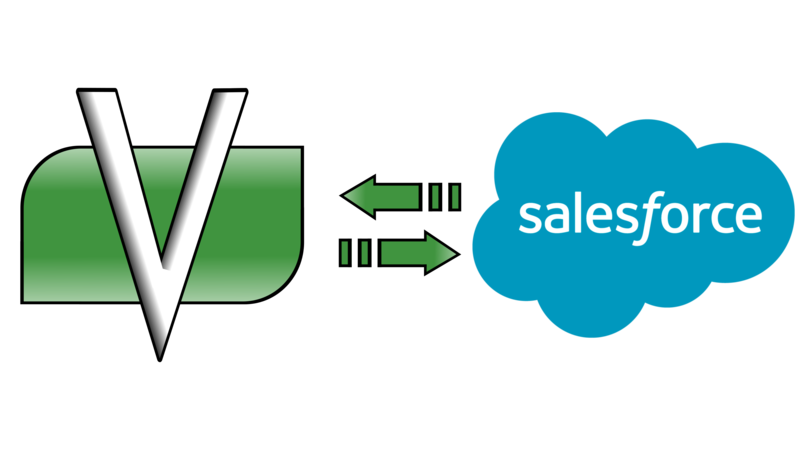 In this webinar, Jamie Hampson, Director Professional Services, walks you through setting up the integration of Salesforce with Privia. 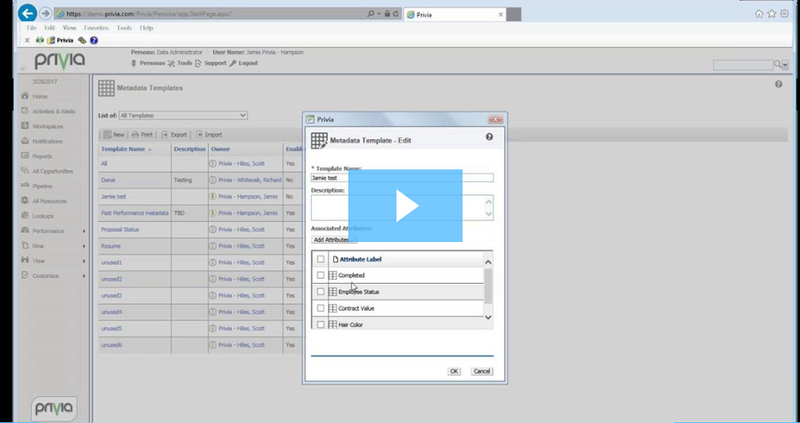 Learn how to install, configure, map accounts and opportunities and synch one-directional and bi-directional data. The updated integration is available in Privia version 5.12. 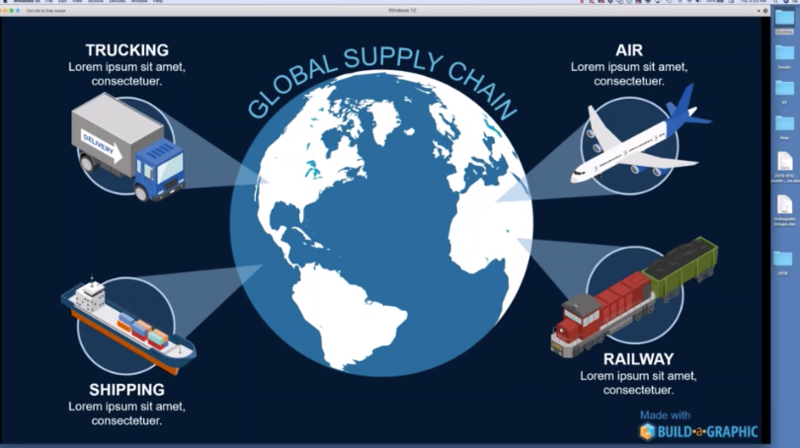 See how Privia streamlines proposal graphic design, review and approval. 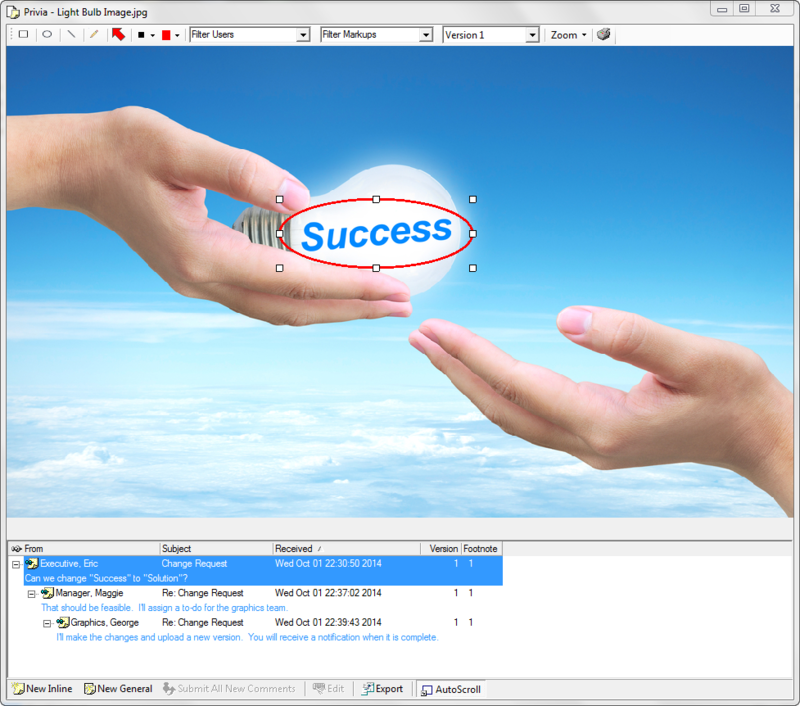 Privia Graphics Reviewer is a collaborative whiteboard for graphic images. In this webinar, Jamie Hampson, Director Professional Services, will walk you through the benefits of virtual discussion and viewing image thumbnails in search results and library tree view. New to Privia? 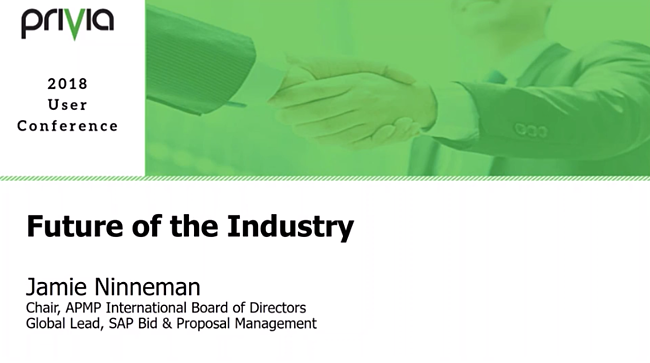 Get an overview of this industry-leading, collaborative proposal development solution, and how it can help your organization win more proposals. 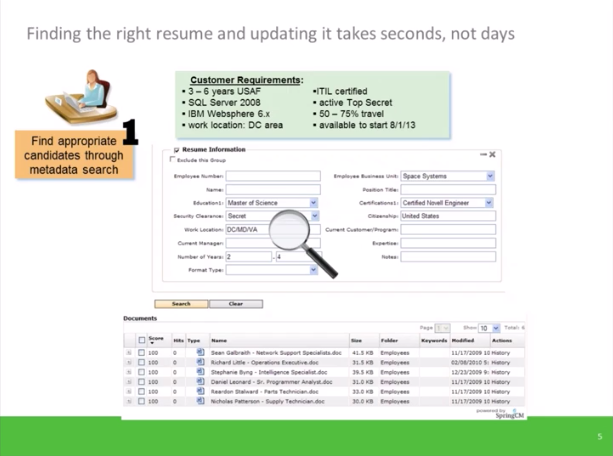 This video focuses on how to use Privia Resume Manager to maintain current resume information, find the right candidates, enable cross-departmental visibility, make better resource allocation decisions, and win more business. Privia Resume Manager organizes your team's security clearances, past experience, certifications, skill levels and more. 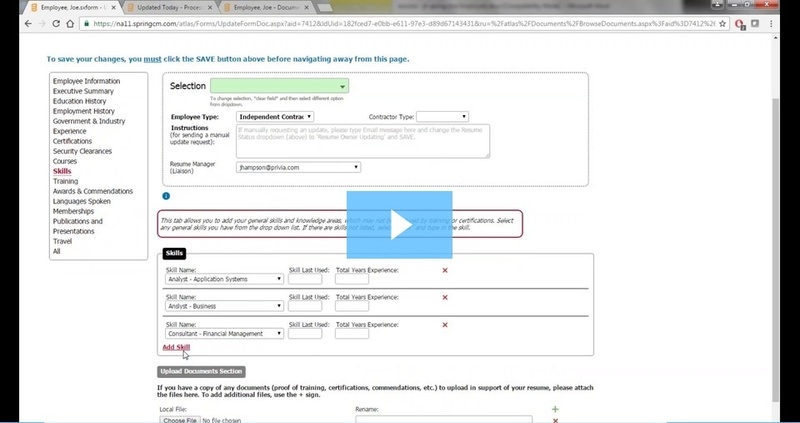 In this video, we’ll explore Privia’s popular Rule Automation feature, and some of the ways proposal managers are using it to streamline proposal development. Rules may be created to move or copy files, run reports, send email notifications on a scheduled basis, and notify users of changes, creation, or commenting on files. 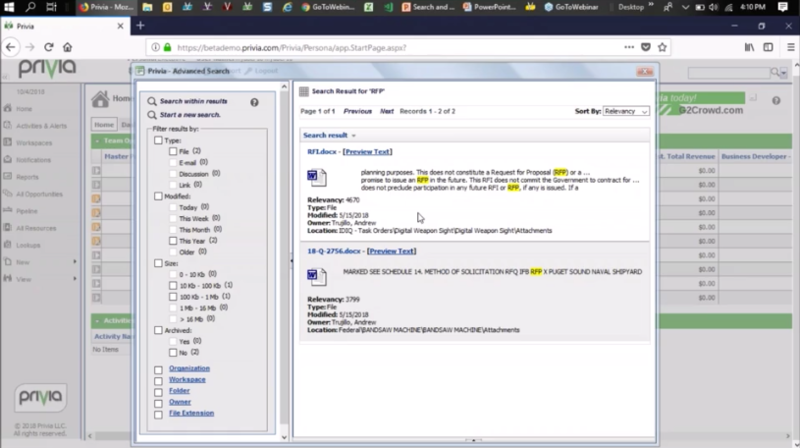 In this video, learn how to use Privia's powerful metadata tagging to tag files with multiple concepts, keywords, or other customized attributes that you create. This ability to attach “structured data” to a document that is then searchable and reportable allows you to quickly find and re-use past proposal verbiage, identify people with certain skill sets or experience, and develop metrics on any proposal-related data you choose.